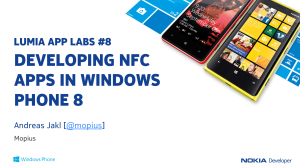 On January 30th + 31st, I was presenting the “Lumia App Labs #8: Developing NFC Apps in Windows Phone 8” webinar for Nokia Developer. 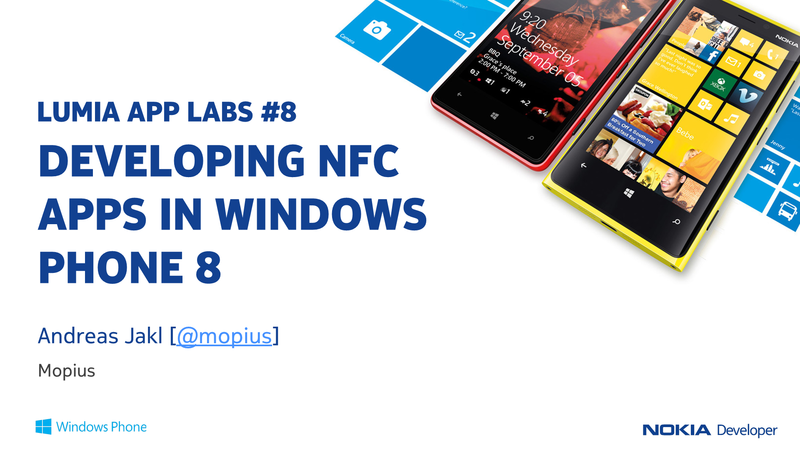 Demonstrates the PeerFinder API to easily and quickly create a multiplayer game – connect the phones via NFC by tapping, wait for a second until the phones have connected via Bluetooth, and you’re ready to play! The slides are available for download at Slideshare – download the PDF version to view them in highest quality!